Klein Tools products, manufactured and sold for commercial or industrial uses, are warranted to be free from defects in materials and workmanship for the normal life of the product. Pass-Thru Modular Data Plugs, RJ45 CAT5E, 10-Pack Exclusive Klein-designed Pass-Thru modular plugs for fast, reliable connector installations for voice and data applications.Saves time, trims flush to end face when used with Klein Tools Pass-Thru Modular Crimper VDV226-110, and eliminates wasted materials. 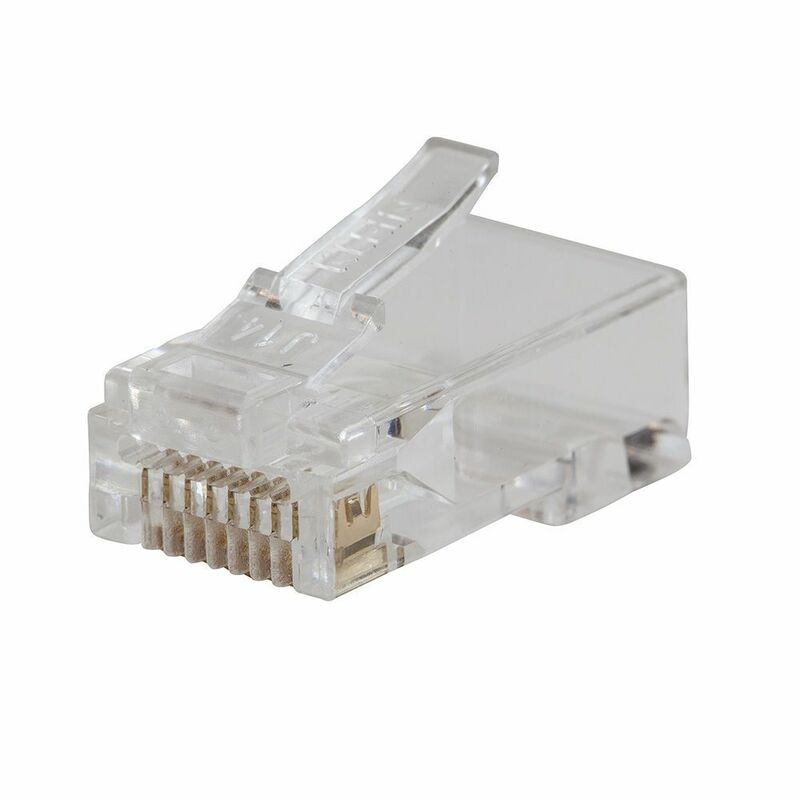 Pass-Thru Modular Data Plugs, RJ45 CAT5E, 10-Pack is rated 4.5 out of 5 by 25. Rated 1 out of 5 by Unhappy from I found these to be the worst connectors I ever used. Once you have your wires in the correct or... I found these to be the worst connectors I ever used. Once you have your wires in the correct order, you need to feed them into the connector and hope they pass through the openings in the end. There do not appear to be any channels to direct the wires in the connector. On numerous attempts the wires would get out of order, or one or two would miss the openings and twist in the connector while the other wires came out the holes in the end. Do not buy these. Rated 5 out of 5 by batcave from Much easier and a much more esthetic termination. ... Much easier and a much more esthetic termination. Rated 5 out of 5 by Anonymous from Works great , just take your time placing the wires in order. Works great , just take your time placing the wires in order. Rated 3 out of 5 by Fyredoug71 from Pretty good connector. A little tough to use with UV rated insulation on Cat5e. Maybe it was jus... Pretty good connector. A little tough to use with UV rated insulation on Cat5e. Maybe it was just me. Rated 4 out of 5 by HomeDepotCustomer from The pass thru connector was fine.... The pass thru connector was fine.